As founder of BEND; Mind, body, spirit inter-connectedness and the quality of life are the themes of Danielle’s life. She has 18 years of experience as both a personal trainer and fitness instructor. She has been trained in yoga, meditation and energy matrix alignment to complement her practice. Her studies and practice in spirituality continue to be her lifelong passion. Her objectives are simple: touch, motivate, and inspire. Jean is a Licensed Professional Counselor with 25 years experience working with a variety of different clients. Her approach is holistic and systemic, looking at the person in their environment and seeking alternative solutions. Jean has been a Reiki Master for 30 years. Her studies are extensive in energetic healing and aromatherapy. She teaches Reiki initiation workshops throughout the year. She also offers a donation based meditation here at BEND. She is a true healer. Debra started taking ballet classes at the age of 6 loved it, and never stopped. 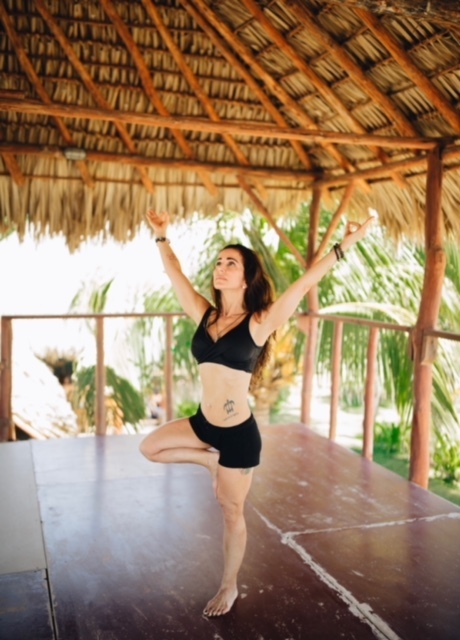 She has Advanced Training and Certifications in: ISHTA Yoga, STOTT Pilates, (both Mat and Reformer,) Ballet Barre, Ayurveda Nutrition and Rehabilitation. She continues her education every chance she gets. All her classes are fun and upbeat no matter what your level is. Josh was born and raised in New Haven, CT and began working at an early age as a professional child actor (over 40 national commercials, off-broadway theater, extra work on popular television shows like “SNL” and “Late Night with Conan O’Brien”). He began drumming at age 6 and now at age 37 has recorded, toured and performed with over a hundred bands and artists and has written a few hundred songs of his own. His first yoga teacher, Anne Katz, is based in Westport CT. In 2006, when he moved to Los Angeles to try and “make it” as a drummer, he found the west coast way of life highly conducive to spiritual awakening. On his own, he began doing austerity practices like fasting, vows of silence, celibacy and hours of seated meditation. He read texts from all religions and schools of thought, learning as much as possible about spirituality as a whole. In 2010, he completed a 40hr transformative mediation training with Ken Cloke, founder of Mediators Beyond Borders. In 2012 he began visiting “The Esalen Institute” in Big Sur on a regular basis, where native american ceremony, gestalt therapy and time in nature furthered his development of expanding consciousness and actualizing his existence. Working with Peter Meyers (Stand And Deliver Group) he honed his skills for communication, conflict resolution and improv acting/public speaking. He co-created a meditation podcast called “The Shaman And The Rockstar” with Ian Peric (Priceless Vitality) which opened the door for him and Ian to travel to Italy for a month in 2014 to tour the country teaching meditation. Under the guidance of Mitchell and Tracy Bleir he began teaching at CT Bowspring, then Sama Yoga in New Canaan CT and Balanced Yoga in New Haven CT; honing his skills as a yoga teacher by teaching yoga. He considers the first 2 ½ years of teaching yoga his 200hr certification, and in 2018 he completed a 300hr advanced Bhakti Yoga teacher training with Raghunath (his guru and childhood inspiration from Shelter and Youth Of Today). He still teaches music, yoga and meditation privately in his home in New Haven CT, and holds public yoga classes at Sama Yoga, Balanced Yoga, Bend Yoga in Milford, CT and Breathing Room Yoga in New Haven, CT. His classes are challenging and fun for students of all levels, and he is always eager to share the practices of music and Bhakti Yoga with anyone who wants to learn. Joe has studied under many brilliant teachers and been exposed to myriad styles including Ashtanga, Bikram, Dharma, Kundalini, Anusara and more. He hascompleted a 200 and then 500 hour teacher training under the tutelage of Mitchel and Tracey Bleir and Donna Jackson at Saraswati’s in Norwalk, CT.
Joe's classes are a union of movement, sweat, music, fun, spirituality and breath-work. Each pose is woven together in a vinyasa flowing style. I encourage awareness and proper alignment in every pose. Classes are tailored to meet the needs/ability level of those present and are open to all levels of participants. 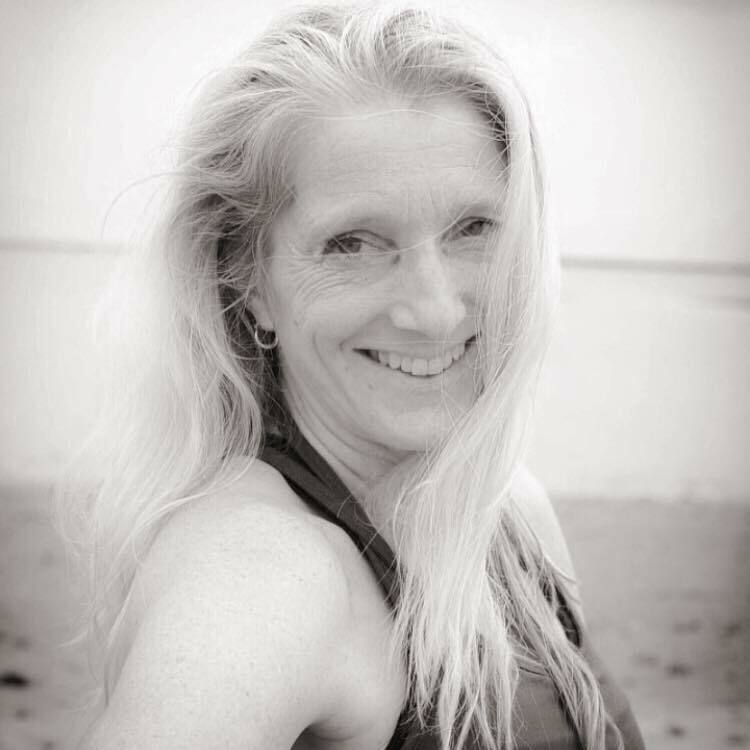 Ellen Lenson, RYT, began practicing yoga regularly in 1999, while living in New York City. Her practice quickly became was a place of refuse and joy. She began teaching in 2008 and has done so continually ever since. Currently teaching Yin and Restorative yoga, she has also taught Forrest Yoga and alignment/anatomy-based classes. Her current classes are deeply influenced by her study and practice of craniosacral work and finds it is in the stillness and quiet that we can truly hear and heal ourselves. Yoga has had such a profound effect on my life and continually shapes how I live and my interactions and relationship with myself and others. I’ve been teaching yoga for over 16 years and my passion for it continually grows. I’ve taught Girl Scouts, middle schoolers, cancer patients, war veterans, domestic abuse survivors, and yogis of all shapes and sizes, from beginners to advanced. My ultimate happy place is somewhere with palm trees and ocean, bad cell service, and no A/C, where I’d go barefoot, garden, do lots of yoga, and walk everywhere. My husband and fur baby Shanti would be there too. Sally started as a bilingual elementary education teacher. Following a 4-year assignment with the Peace Corps teaching preschool and elementary education in Paraguay, South America, Sally taught for several years in the New York City public school system in the South Bronx. However, dance has never been far from Sally’s heart. She studied modern dance at Boston University, and while overseas she used her dance background to engage the young girls of her local village, creating workshops where the girls could learn to express themselves and then show off their skills to local friends and family members. Many years later, Sally is still using dance, but this time teaching adults and the older population the benefits of movement, strength, flexibility, and balance.